Indian CEO’s are making a wave across the globe. 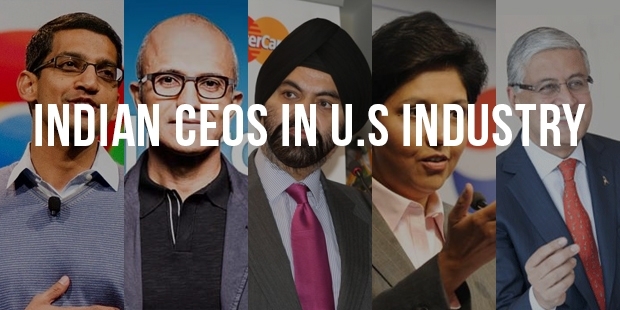 Many multinationals are opting for an Indian born to head their company. Below is a list of few of the CEO’s making India proud. Sundar Pichai is a household name now. Google announced the CEO on 10 August, 2015. 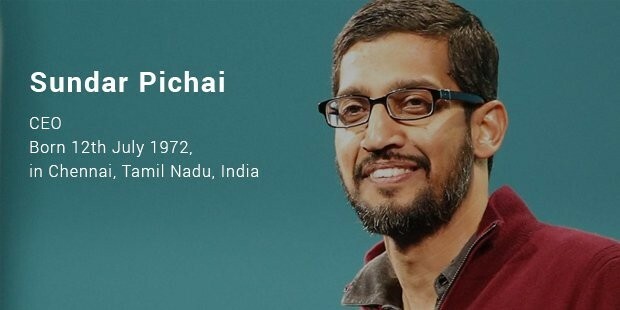 Pichai’s recent appointment makes him the latest Indian to earn his position in the U.S Technology Industry. Pichai belongs to a middle class family in Chennai. He has completed his engineering from IIT-Kharagpur and pursued his MBA from University of Pennsylvania. Pichai joined Google in 2004 as a product management head. He has put his innovative efforts for various google’s client products including Google Chrome and Chrome OS. He further went on to lead various google apps development like Gmail and Google maps. Pichai is believed to be one of the main persons for the smooth ties with Samsung, Micromax and Karbonn. He headed the Jive Software from April 2011, to 30 July, 2013 as the Director. Satya Nadella is the CEO of Microsoft since 4 February, 2014. He was born to a Telugu speaking family in Hyderabad, India. He was the Executive Vice President of Microsoft’ Cloud enterprise group before being appointed as the CEO. He completed his engineering from Manipal Institute of Technology and flew to U.S for an M.S degree. 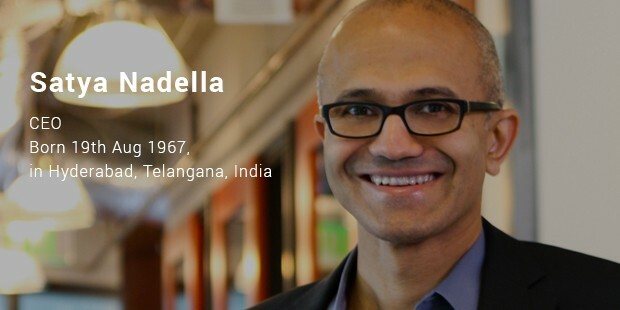 Satya Nadella joined Microsoft in 1992. He has worked in various positions in Microsoft before making it to the third chief executive in the company’s history. He worked with the Research & Development (R&D) for Online Services Division, was the Vice-President of the Microsoft business division, Corporate Vice-President and Executive Vice-President of Cloud and Enterprise Group. In February 2014, he was announced as the new CEO of Microsoft. Ajaypal Singh Banga, widely known as Ajay Banga is the current President and CEO of MasterCard since 12 April, 2010. Born to a sikh family in Maharastra, India, belongs to an Indian Army background. His brother M.S. Banga is equally recognized CEO. 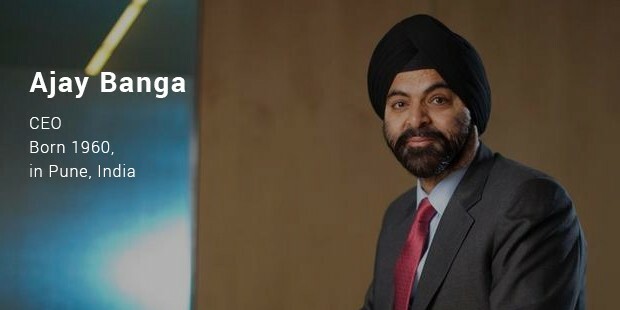 Ajay Banga started his career with Nestle in 1981. He worked with Nestle for almost 3 years before quitting and joining PepsiCo. Due to his interest in social development issues he took a keen interest in microfinance sector during 2005-2009. President Barack Obama appointed Banga as a Member of the President’s Advisory Committee for Trade Policy Negotiations. He also is the current chairman of U.S-India Business Council (USIBC). 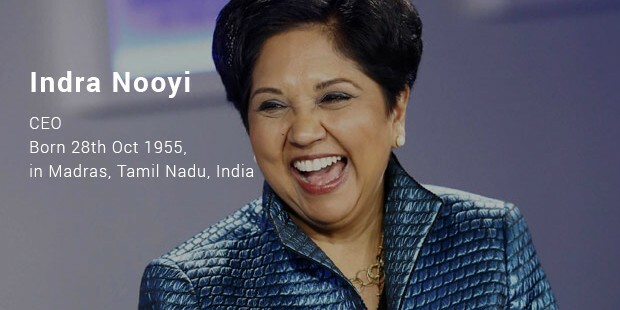 Indra Krishnamurthy Nooyi, popuraly known as Indra Nooyi is the CEO of PepsiCo since 2006. Born to a Tamil family in Chennai, she post graduated a diploma in management from Indian Institute of Management, Calcutta (IIM-C). She started her career at Boston Consulting Group (BCG) and moved on to hold strategy positions in Motorola and Asea Brown Boveri.She attached herself to PepsiCo in 1994 and was named the President and CFO in 2001. She was a part of a major acquisition of Tropicana in 1998 and the merger with the Quaker Oats Company. She has been listed as the 3rd most powerful woman in Business by Fortune and also holds place in the list of 50 women to watch in Wall Street Journal. Ivan Menezes is the CEO of Diageo since 1 July, 2013. He was born in Maharashtra, India.He pursued his education from Indian Institute of Management Ahmedabad and US Kellogg School of Management. Menezes joined Diageo in 1997 and has worked at various designations including, Chief Opertaing officer, Chairman of Latin America & the Carribbean, Chairman of Asia Pacific, President and CEO. Menezes is also the non-executive director of the U.S- based fashion retailer Coach. 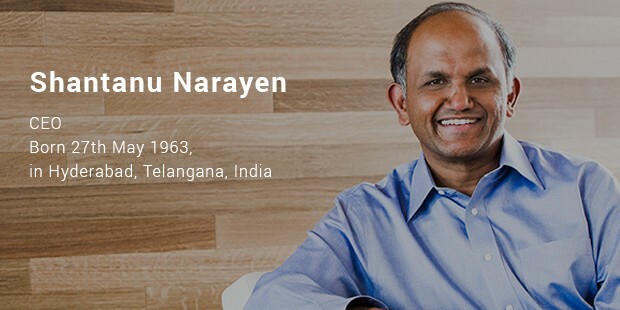 Inc.
Shantanu Narayen is the current CEO of Adobe Systems since 2005. He is also the President of the board of Adobe Foundation. He was born in Hyderabad, India to a well educated family. His mother taught him American Literature while his dad ran a plastics company. He completed his masters in computer science from Bowling Green State University. He started his career by joining Apple. He later moved to Silicon Graphics and co-founded Pictra, a company based on digital photo sharing on the internet. Narayen joined Adobe in 1998 as the senior Vice President and was announced as the CEO in 2005. He held various positions as the Vice-President of worldwide product research, executive vice president of worldwide products before being announced as the CEO.